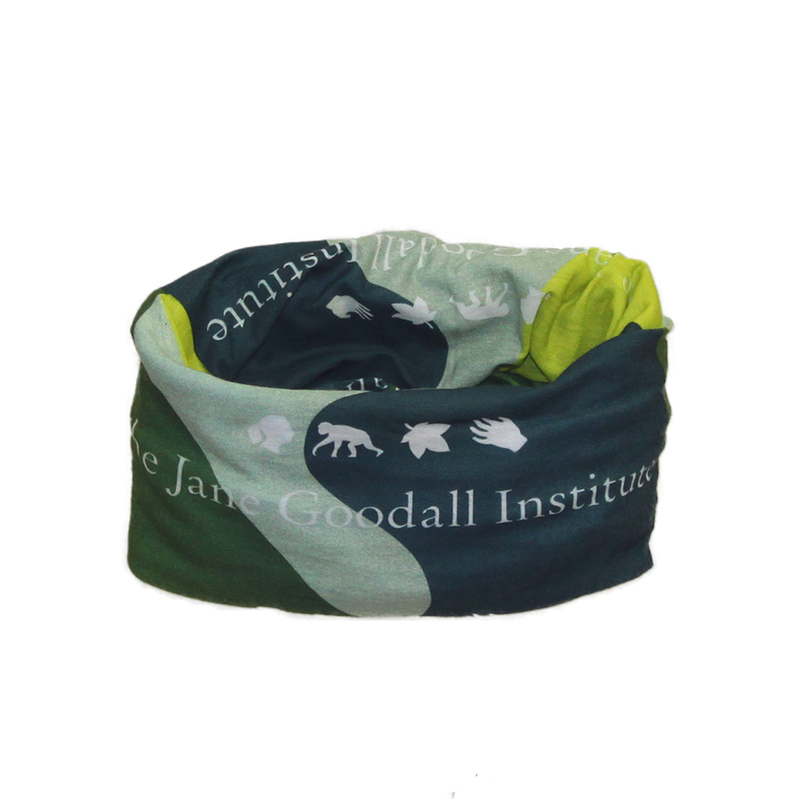 Jane Goodall Institute Logo "Hoorag"
Our brand new Hoo-rag is perfect for hiking, camping, or any outdoor activity! 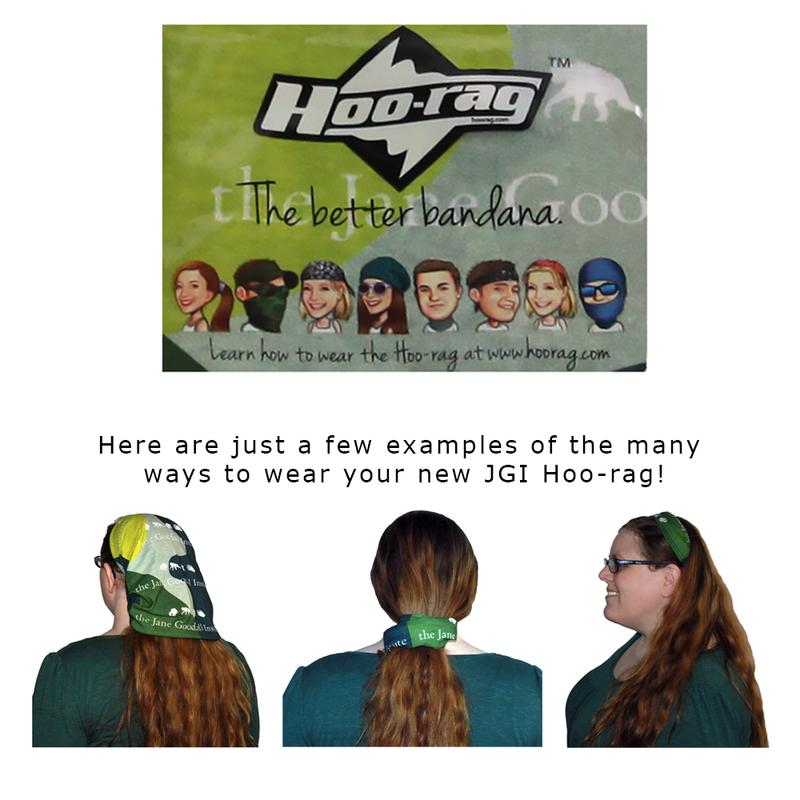 Wear the Hoo-rag as a neck scarf, or bandana! 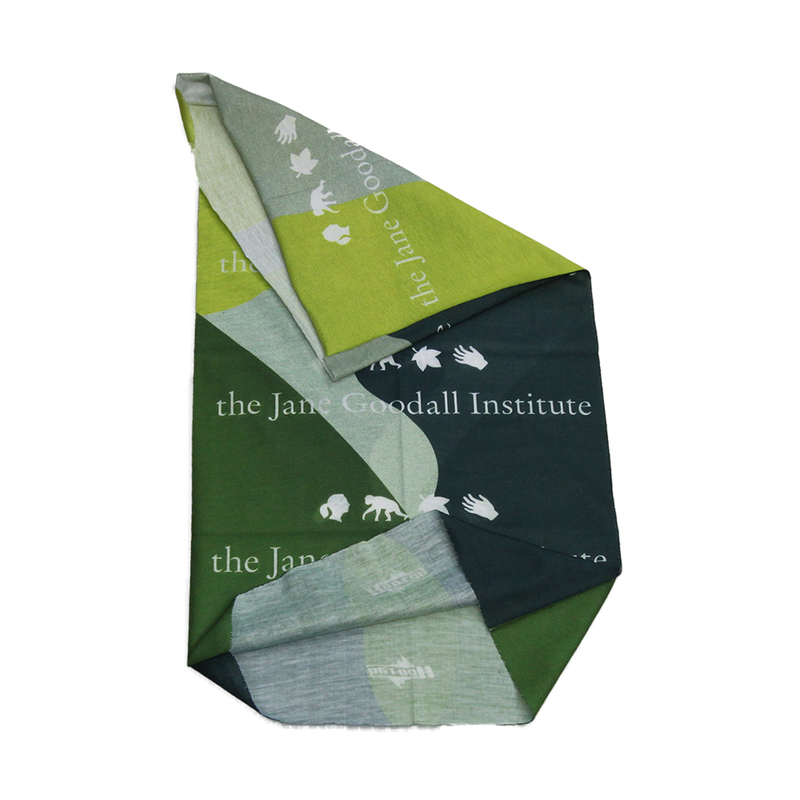 The stretchy, soft, and breathable fabric is great for summer, and the Jane Goodall Institute logo adorns the multi-green colored item. 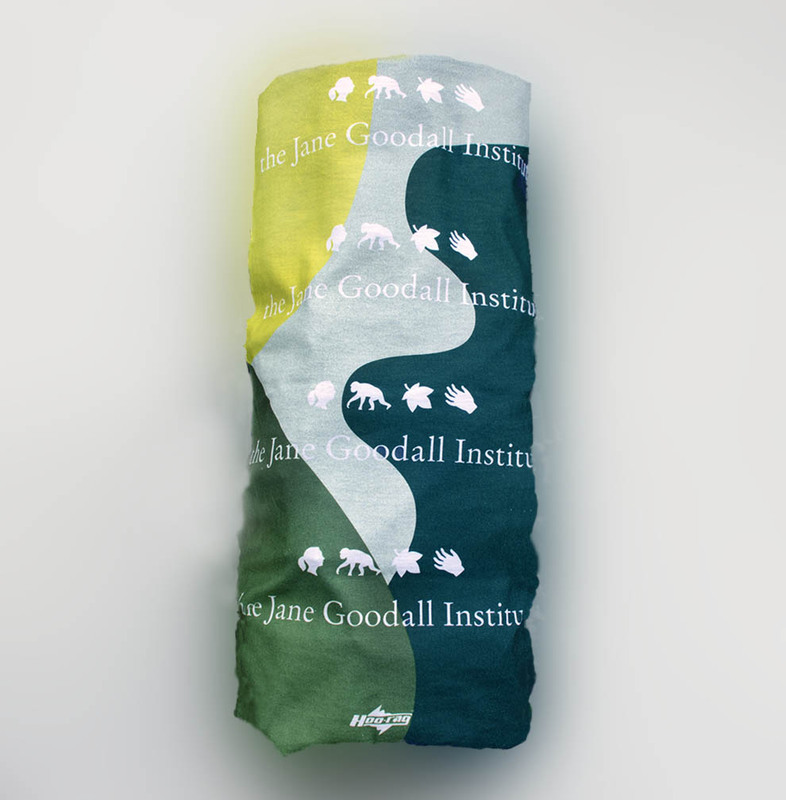 You can represent JGI in style, while exploring the natural world.